Charli in the NICU pictured with Spencer's father. Most seven-year-old girls have a long wish-list for their birthday – jewellery boxes, Roald Dahl books, unicorn craft kits and Barbie Dolls, just for starters. 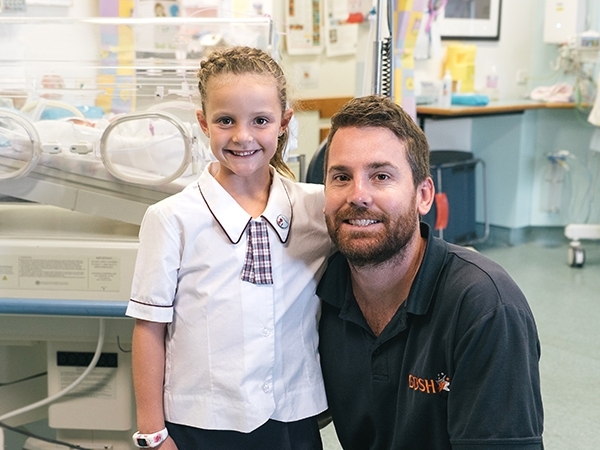 But when Charli Mitchell, a year 1 student at St Andrew’s Catholic Primary School in Malabar came into the Newborn Intensive Care Unit (NICU) at The Royal Hospital for Women, Randwick, and saw her tiny cousin, she changed her mind. Spencer weighed just 900 grams and was almost hidden under the tubes and equipment he was attached to in the acute care section of the NICU. Botany in a few months’ time. 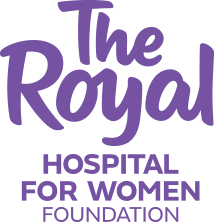 Click here to take a look at our fundraisers or start a fundraising page of your own.